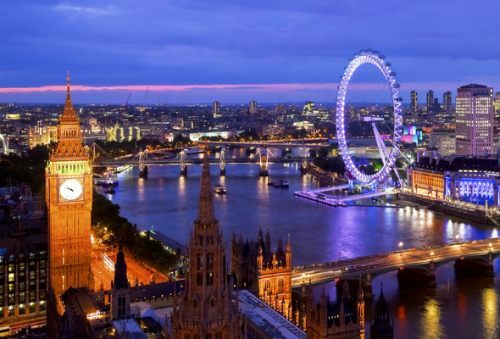 Icelandair has dropped the price of some of their late spring and early summer flights from Halifax to London, UK down to $583 CAD roundtrip including taxes. The flights have a stop in Reykjavik, Iceland on the way back, for more than 24 hours. For some this may be a bonus, a chance to check out Iceland for one day. Certain dates in May and June 2016. 3. Click through from Google Flights to Flight Network to make the booking. halifax, yhz, flight deals, reykjavik, kef, europe, nordic countries, northern europe, icelandair, western europe, london, england, lgw, united kingdom, reykjavík, uk and gatwick. 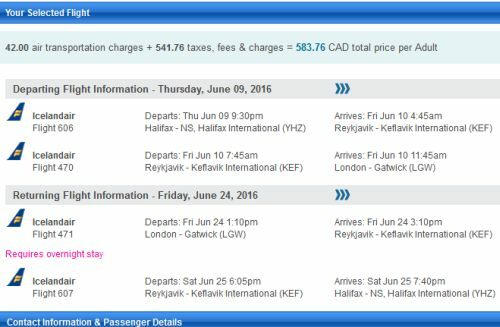 2 Responses to "Halifax to London, UK - $583 CAD roundtrip including taxes | late spring, early summer 2016 dates"
Eddie: This just means it has sold out. It was definitely available when I sent out the alert.